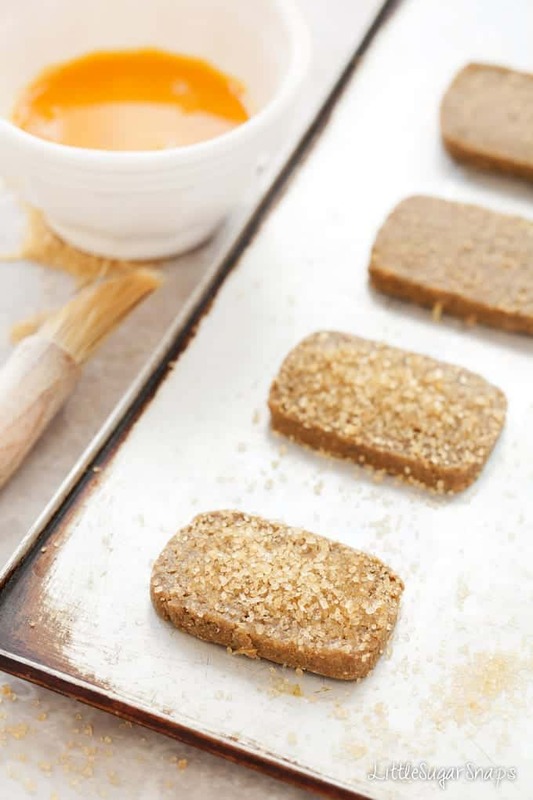 Ginger Spiced Rye Biscuits are guaranteed to put a smile on your face. These biscuits have a modest appearance that gives way to robust, spicy flavours. Bakeable from frozen – they are the perfect standby. Apparently, around half of British people eat biscuits at least twice a week. And let’s face it, there seems to be an ever-growing selection for us to choose from in cookbooks and in the supermarket. Today, I’m adding to that stockpile with these wonderfully crunchy, decidedly spicy and cheekily sugar-coated Ginger Spiced Rye Biscuits. They are homely, robust & hearty. Sweet without being cloying. These biscuits look deceptively simple, but hidden within this modest appearance is a neat little punch of flavour. These Ginger Spiced Rye Biscuits are testament to the theory that you don’t have to get dressed up to shine. They do that all by themselves thanks to those 3 feisty ingredients. 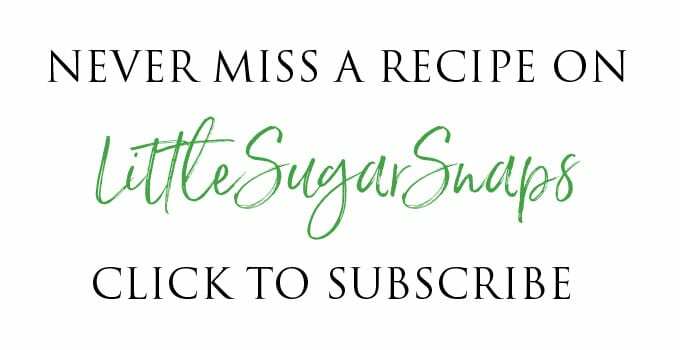 The sparkle of sugar on the top is their only adornment and is there to add a little extra texture to each bite more than as a decoration. I’ve always enjoyed the taste of rye bread but somehow I’ve never got around to baking at home with rye. Until now. It’s because of the rye flour that I’m more than a little bit in love with these biscuits. The rye lends a rustic taste and texture to them. 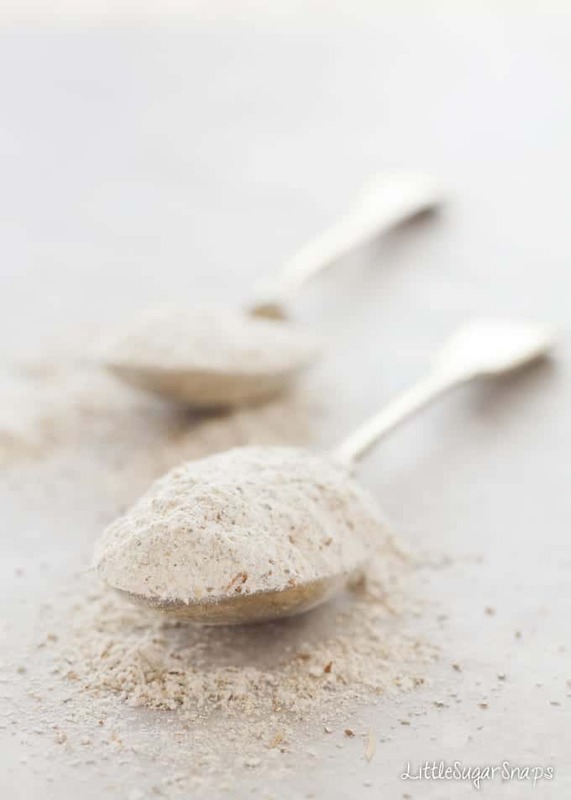 Bonus: In contrast to refined wheat flour, rye flour usually retains a large quantity of nutrients. It’s also a good source of fibre. 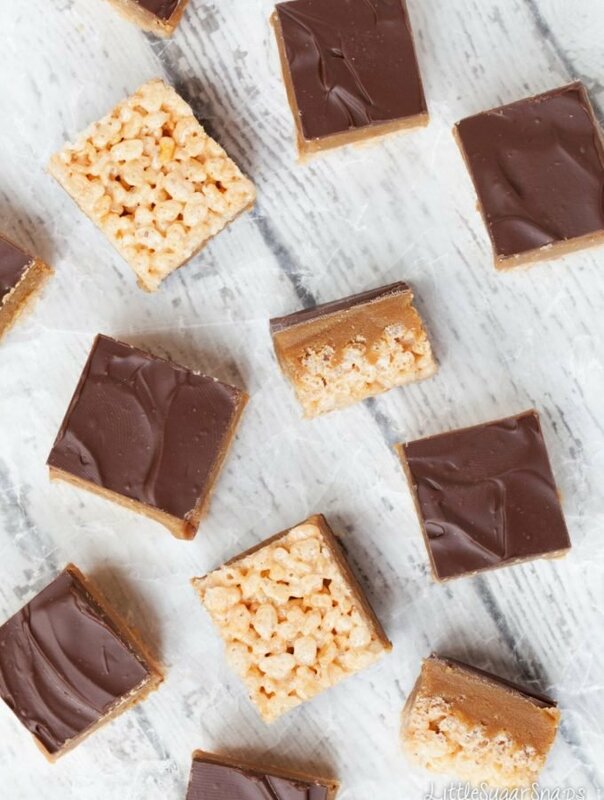 So, if you are feeling like a treat but fancy trying something a little different to normal, I suggest diving into this recipe. 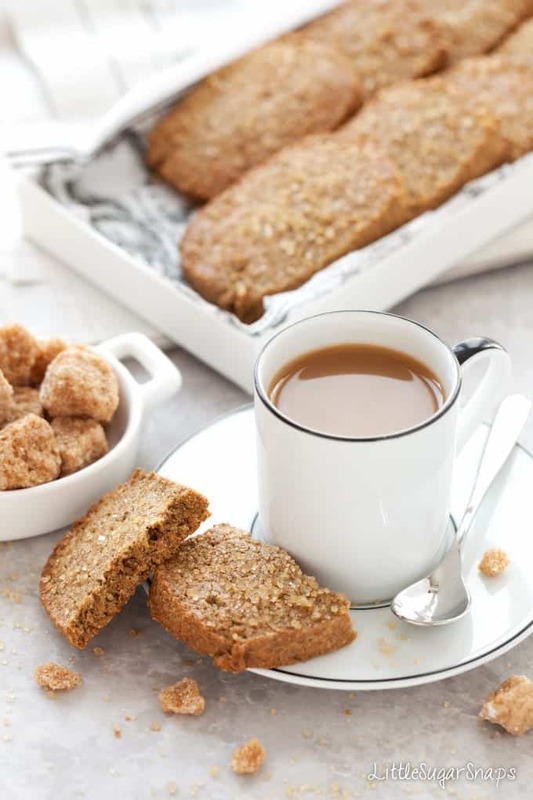 These Ginger Spiced Rye Biscuits go perfectly with coffee, tea or milk. 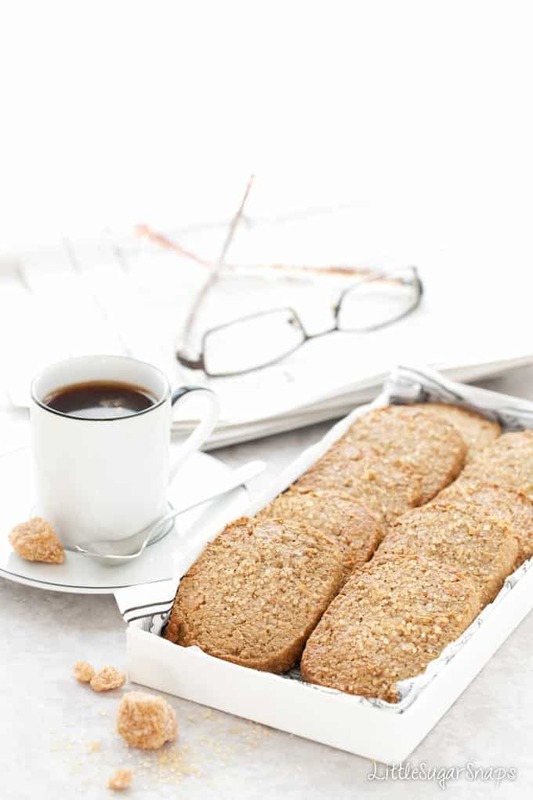 Just sit back, enjoy the crunch and all of that wonderful satisfaction achieved from a home-bake. Another Bonus: once you have made, shaped and sliced the dough you can freeze them and pull just a few out of the freezer whenever you get the need for a mighty biscuit cuddle. This means they are great for having on standby for short notice visitors… or if you don’t trust yourself not to eat your weight in biscuits if you bake the entire batch… Me? I’d never do such a thing. I have to be honest, this week, I‘m really pleased these biscuits are in my freezer. You see, I’m in the middle of my annual March cake-a-thon again – brought about by having 4 birthday cakes to make in the space of… um… 10 days. Eeeek. Let’s be clear: that’s 2 children having their birthdays very close together with parties not on their birthdays. Bad planning. Very bad planning. It’s fair to say that a week ago something went spectacularly wrong in the preparation of cake number 1 this year. I’m still playing catch-up. Very soon I’ll be sharing with you cake number 2 (pure heaven) and I’ll let you in on my epic kitchen fail and how not to make a Piñata cake. 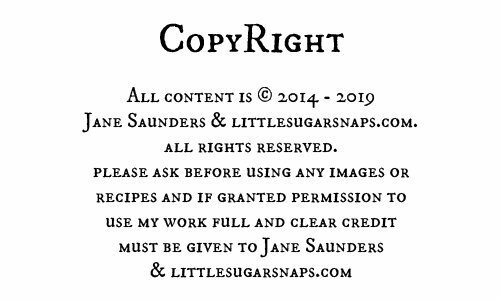 But for now, I live safe in the knowledge that if anything goes wrong with cakes 3 or 4 I can always lock myself away with a large stack of these biscuits and pretend all is well in my kitchen. 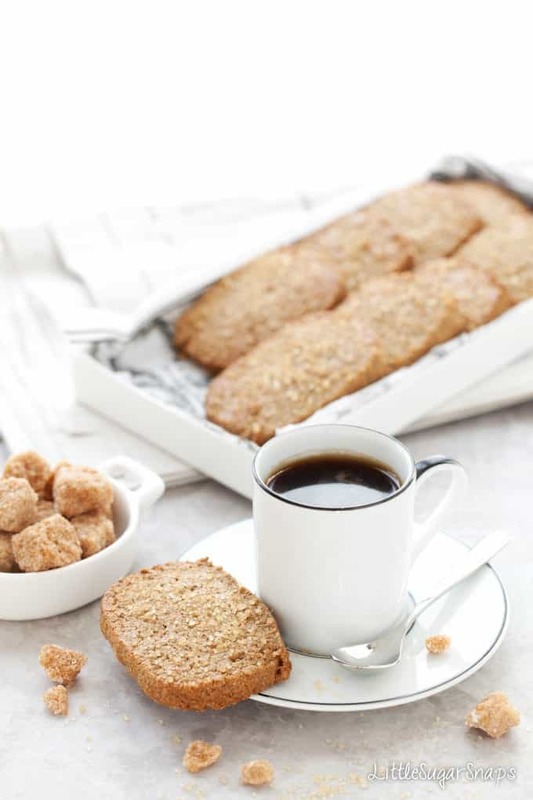 Ginger Spiced Rye Biscuits are guaranteed to put a smile on your face. These biscuits have a modest appearance that gives way to robust, spicy flavours. Bakeable from frozen - they are the perfect standby. These biscuits can be frozen prior to baking - once the dough has been sliced, wrap them in baking parchment and store in the freezer. Pull them out and continue from step 7. They may need a couple of extra minutes in the oven. 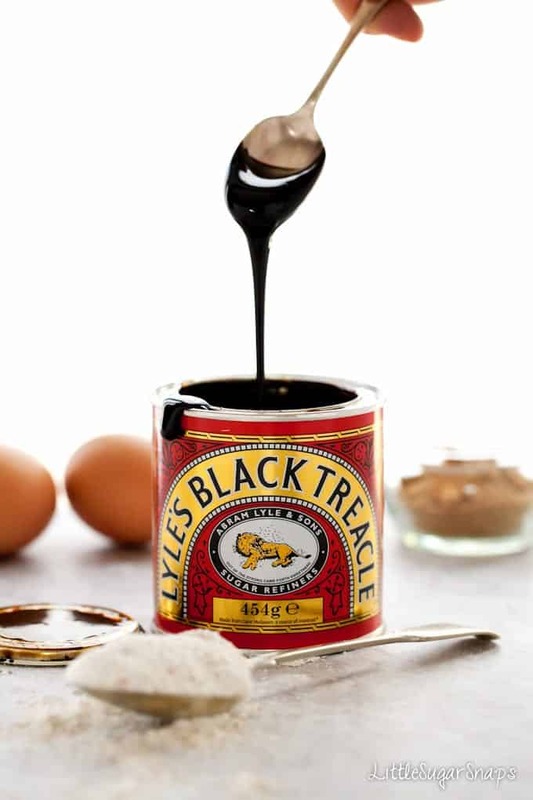 So I have to admit that treacle is not something that I am super familiar with as an American. Is it like molasses? I’ll google it. BUT these cookies (biscuits) look so tasty and I love that they are ginger spiced AND have Rye!?! I have never baked with rye, but you have me convinced. That’s exactly right, Meghan. Black treacle = molasses. I like your tribute to my English-American language quandary when writing about biscuits… I mean cookies… oh flip. These ginger and rye biscuits look so delicious, perfect to go alongside a good cup of tea. Gorgeous photos too! bThese sound amazing and cant wait to make them. There will be some changes that I will have to make as I am diabetic. I mainly have to limit how much I eat of a sweet. I do love a biscuit with my tea. I kind of got used to it when I lived in Belguim with my military husband. Thank you for a wonderful recipe. Thankyou Barbara. Please, do let me know how you get along with some changes (and what those changes are). Biscuits and tea are made for each other. I finally made them and I am in love. They tasted great!. The main thing I changed was the muscovado sugar to monk fruit golden. 0 calories and my diabetic handles it well. 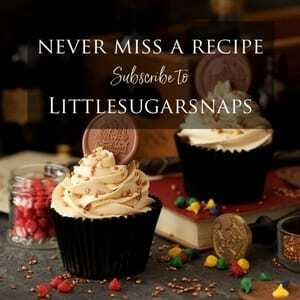 I also did not put the demerara sugar on them, I wish I had, I will have to look for crystal sugar that I can handle. I believe these will be a biscuit that I will have on hand cooked and in the freezer waiting to be cooked.. I am really amazed at how good they are. I am going to have to add more time cooking I believe or raise the temp to 350, to get them a little crisp, these are so soft that they dont want to hold together as they should. It was really humid the day I made them that I had to add more rye flour. Having to add more is not unusual as the weather here stays humid to dripping, and the flour has to be kept in more sealed up than in other places. I love your blog, next will be your beet humus for me to make. Wow. I’m so impressed and so pleased you like them. I’ve not used Monkfruit sweetner at all (had to look it up) so can’t offer advice on how that may alter the cooking times/ temperature required. 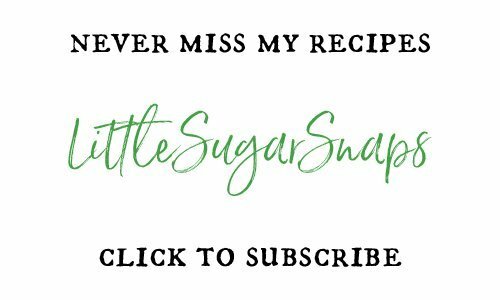 My gut instinct is always to cook biscuits long and slow to get a crisp finish, but you are in a better position to judge if you’re used to the sweetener and a more humid environment that me (where do you live?). Sorry for my late reply – I was on family holiday and picked up your lovely message on my return. It made my day. Thankyou so much for taking the time to comment. I live in the state of Missouri, in the southeast area. About 3 miles out out of a little town of Licking. The humidity is very high here, and takes quite a bit to adjust to it. I love to bake so have figured out that there are times that the quantity of liquids has to be changed because flour and powder ingrediants will absorb the humidity. I do believe you are right, I need to go long and slow, i have tried to raise the heat a little but that did not work the way I want them to end up. They still had a good taste. Am enjoying making them and they do go good with a cup of irish tea. Thank you for your help and your answers. I did need them. When it comes to tea and biscuits, they come together as some other things can. Myself, it is a everyday thing to have.An enjoyable thing in the evening to have just to relax. I don’t blame you. We really should make time to relax even for just a few minutes everyday. I try to quite working at a sensible hour each night to have a relaxing read before sleep, but it doesn’t always happen.